The Premier League 2018/19 season kicked off this weekend as the 20 best teams in England and Wales started vying for position. It’s a long slog from here to the end of the season, but a lot can be gleaned from the gameweek 1, although some results are more telling than others. So, that brings us to the first of our weekly FST Premier League Power Rankings, where we rank the teams from best to worst throughout the season to come up with a definitive ranking of how each team is shaping up. This takes into account the squad strength, actual results, strength of opponents, expected goals, and performance and will be updated on a weekly basis. No surprises for guessing who’s top. Liverpool may have put West Ham to the sword at Anfield, but Manchester City’s trip to the Emirates represents a far more telling showing of strength. 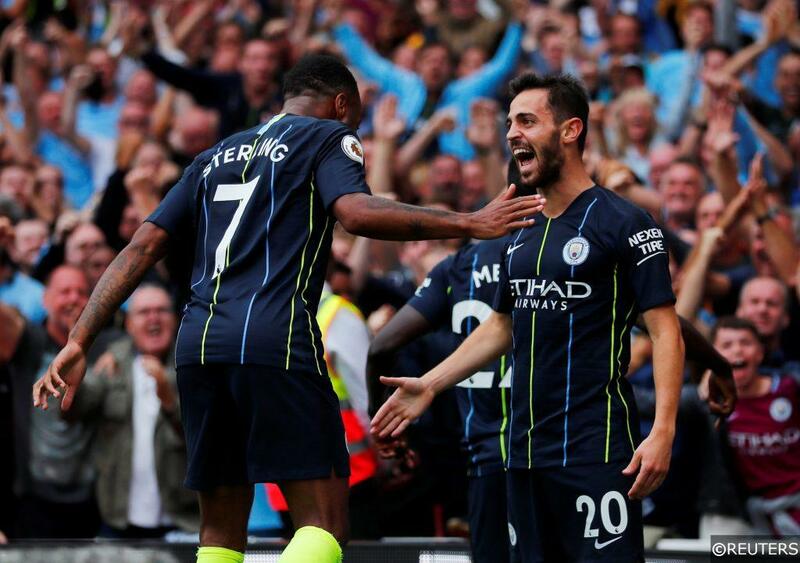 They deservedly won 2-0 away to Unai Emery’s Arsenal in the final Premier League game of the weekend, with Raheem Sterling silencing his critics with a beautiful goal and Bernardo Silva doubling their advantage in the second half. They won out on Expected Goals (xG) too, picking up 2.02 xG to Arsenal’s 0.45; a statistics that clearly illustrates their dominance, even away to a top six side. It was a clinical performance from The Citizens, who managed to win at a stroll despite resting David Silva, Kevin De Bruyne, and Gabriel Jesus. Liverpool sit at the top of the actual Premier League table, but through no fault of their own only make it to second place in our Power Rankings. They were emphatic and ruthless in their 4-0 dismantling of West Ham, with the usual suspects of Salah and Mane netting three goals between them and Sturridge adding a late fourth. The only thing keeping them from the top spot is their home advantage and their strength of opponent, but such a comfortable afternoon at Anfield surely means we can expect to see a lot more of their attacking flair in the coming months. You can’t even say they were lucky to win by such a scoreline. They racked up an impressive 3.88 xG on Sunday afternoon, while West Ham managed just 0.40 xG after being held at bay for almost the entire 90 minutes. Tottenham became the first side in Premier League history to not make a single signing in the summer transfer window this season, but with a squad as talented as this you can hardly blame them. Admittedly star man Harry Kane didn’t look even remotely sharp after a long summer at the World Cup, but compatriot Dele Alli more than made up for his absence with a stunning performance. Alli scored the winner in their 2-1 victory over Newcastle, starting off the move before making a probing run into the box to nod it past Martin Dubravka. It was Jan Vertonghen who opened the scoreline with a header that crossed the line by just nine millimetres, and while Newcastle did make a resurgence and equalised through Joselu the visitors kept their heads and took advantage when Newcastle’s energy started to wane. 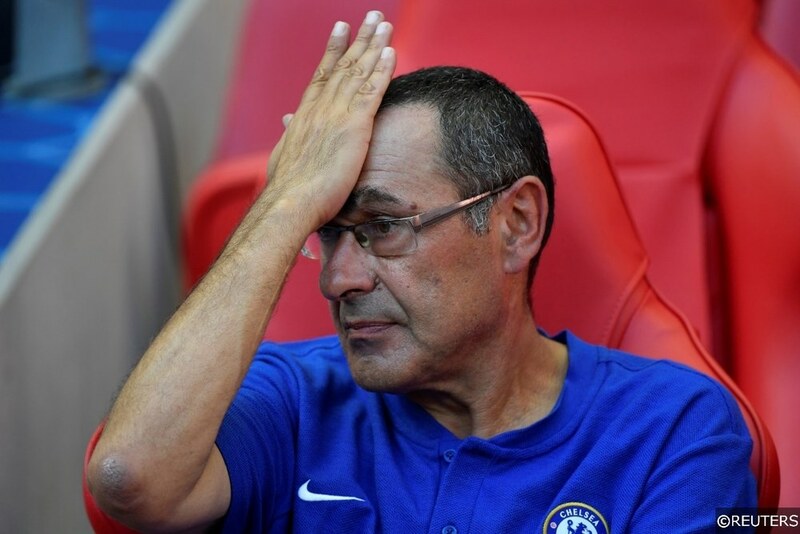 Things weren’t looking particularly promising for new manager Maurizio Sarri ahead of the Premier League opener. They had a very low key and disappointing pre-season and started the competitive season with a tired showing in the Community Shield. However, that was all forgotten when N’Golo Kante opened the scoring at the John Smiths Stadium. New signing Jorginho doubled their advantage with a penalty and a late Pedro goal gave them the comfortable scoreline that their performance warranted. As for all the top four in these Power Rankings, the xG model showed that their victory was well deserved. The Blues hit 2.33 xG to Huddersfield’s 0.40, and they did so without the talismanic Eden Hazard and the departed Thibaut Courtois. The only flaw on their performance was the anonymity of Alvaro Morata, and the fact that Chelsea still don’t have a top quality centre forward to rely upon in the tricky times. Opening the Premier League season is always a tricky game, and when your team is blighted by injuries and fatigue it makes it even harder. Granted, a home game against a Leicester side who started without Jamie Vardy and who are still coming to terms with the loss of Riyad Mahrez isn’t the most difficult, but Jose Mourinho had problems of his own to deal with too. Paul Pogba eased his managers’ worries with a penalty on three minutes as he captained the Red Devils, and they weathered a Leicester storm before regaining some control of the match. Luke Shaw doubled their lead with the first senior goal of his career, capping a fine performance from the troubled left back. It was a good job as well, because substitute Jamie Vardy clawed one back in injury time to put the nerves on edge at Old Trafford. On some levels, Manchester United were very fortunate to pick up the three points here. However, their performance showed the winning spirit that Mourinho instils into his teams and at times they almost looked like the United of old, despite their ravaged squad. It would be rather unfair to Arsenal to push them down the Power Rankings simply because they lost to the best team in the Premier League. They were very much second best at the Emirates, but at times they did show what they could be capable of under Unai Emery this season. The first five minutes were bright from The Gunners, and they ended the first half in much the same vein. It was clear that they are still adapting to Emery’s tactics and formation, but all the quality to mount a challenge on that top four spot they have missed out on in the past couple of years is there. Pierre-Emerick Aubameyang and Alexandre Lacazette could be lethal together this season, and the silver lining on the cloud of that 2-0 defeat is the fact that they kept on pushing and trying to get themselves back in the game. Despite Wolves being a newly promoted side, Marco Silva’s Everton side went to the Molineaux as the bookies’ underdogs. The Toffees may have only managed a point against Wolves, but there are plenty of positives to take from that 2-2 draw. The first is obvious: Richarlison was scintillating on his competitive Everton debut, netting both of their goals and making good headway on paying back the substantial fee that Silva laid out for him. Not only that, but they even continued to press when they got hit by a double whammy late in the first half, with Phil Jagielka getting sent off and Ruben Neves equalising with the resulting free kick. There are concerns there, but as a whole it does look like Everton could resume their status as the best of the rest. Crystal Palace’s 2-0 win over Fulham may have come against a promoted team, but it was nevertheless a very impressive showing from Roy Hodgson’s men. They were away from home at the hostile Craven Cottage, and Fulham may be new to the top flight but their squad is very much full of Premier League level talent. The Eagles were clinical, first through Jeffrey Schlupp’s hammered drive and then through the talismanic Wilfried Zaha to double their lead. It could have gone the other way, but it was a vastly improved start for Crystal Palace compared to last season’s disaster. Leicester may have lost their opener against Manchester United, but considering they were away at Old Trafford without Riyad Mahrez it was a rather promising performance from The Foxes. They went at the makeshift Manchester United back line, and if the luck had been on their side it could have been a different evening in Manchester. James Maddison was promising in his debut, and while they will still rely heavily on Jamie Vardy there are some glimmers of hope for them in the post-Mahrez era. 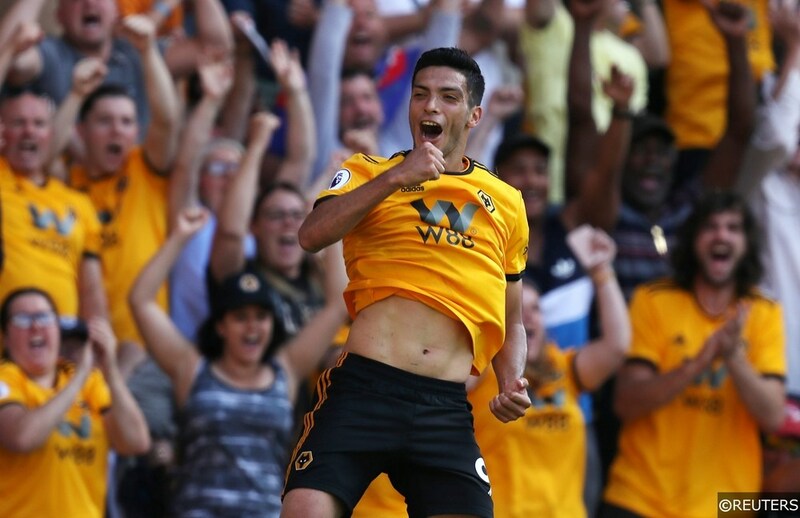 Wolves’ return to the Premier League is probably one of the most hotly anticipated in history. Their attacking flair set the Championship alight last season, and they continued to strengthen over the summer as they look to skip the relegation battle entirely. The initial evidence suggests that’s entirely possible, and while they did fail to make the most of their numerical advantage against Everton the signs are all there for a really impressive season. Ruben Neves looks a phenomenal talent and they have the likes of Rui Patricio, Willy Boly, Joao Moutinho, and Diogo Jota to call upon. Defensively there are many questions that need answering, but going forward they look a real threat. The conveyor belt of managers at Watford may look like an unsustainable model, but so far it’s been enough to prolong their spell in the Premier League. Javi Gracia will obviously be hoping to buck the trend at Vicarage Road, and if his team performs like they did on Saturday on a regular basis he has a very good chance of doing so. They were almost completely dominant against a toothless Brighton side, and Roberto Pereyra showed what he is truly capable of with an exception brace. They hit the target 13 times in total, and it’s only the weakness of their opponents that stops them rising further in the rankings. Liverpool’s thrashing of West Ham aside, this was pretty much the most comfortable victory we saw on the opening weekend of the Premier League. They hosted the newly promoted Cardiff, and Neil Warnock’s band of Welshmen caused them next to no problems. The Cherries completed almost twice as many passes as their visitors, and limited Cardiff’s passing accuracy to a mere 60%. Bournemouth took advantage of their superiority well too, with Ryan Fraser and Callum Wilson finding the net and getting them off to a good start. There will be tougher tests to come, but they did the job that was needed and got the three points. Burnley were sensational last season as they qualified for the Europa League for the first time after Sean Dyche guided them to an unprecedented 7th place in the Premier League. They couldn’t get the new season off with a win, but it was still a promising performance from The Clarets. They held the struggling Southampton to a goalless draw and came out on top in the expected goals (1.40 xG to Southampton’s 0.77), and despite having only returned from European duty on Friday they controlled the game for large periods. The fact that Southampton goalkeeper Alex McCarthy was awarded man of the match shows how well Burnley performed. Yes, they lost 2-0 at home to Crystal Palace, but on another day things could have been much better for Fulham. The newly promoted club threatened their visitors on numerous occasions, even managing to dominate possession and have 15 shots at Palace’s goal. All the talent is there for them to make a push at the mid-table section, and you could see the promise in their play. However, their final ball into Aleksandar Mitrovis must be improved if they are to make the most of his assets. They may have been facing Tottenham on Saturday, but it was still a rather disappointing performance from Newcastle. They hit the target with just two of their 15 shots on Spurs’ goal, and abjectly failed to control the possession thanks to their shocking passing accuracy of 68%. Defensively they looked completely at sea against a Spurs’ side who were lacking in sharpness, and while they could have scored more than the one that they managed they could have easily conceded a lot more. 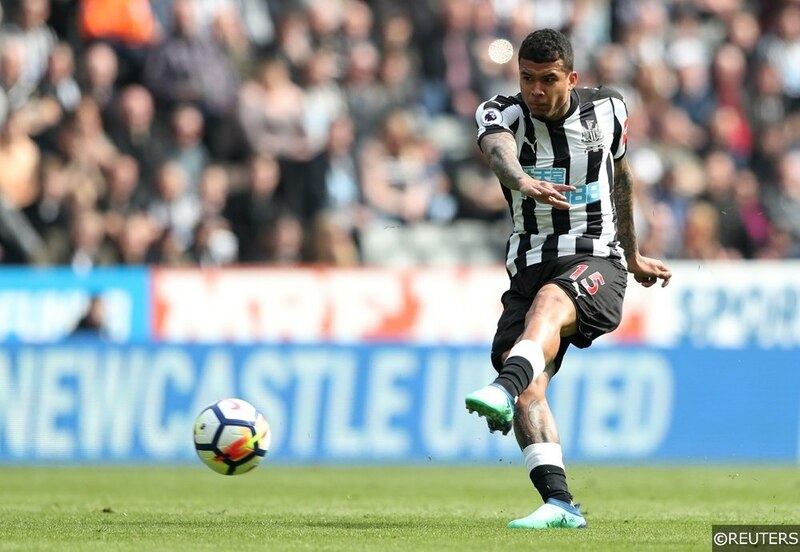 Kenedy’s terrible first touch when he was one-on-one with Hugo Lloris deserves to push them down the rankings alone. Optimism has flourished at West Ham since Manuel Pellegrini’s arrivals and a summer spending spree to strengthen their squad. Admittedly it is very early days and they were away at Liverpool, but The Hammers were defenceless against the might of Jurgen Klopp’s men. They may sit at the bottom of the Premier League table, but losing to Liverpool is hardly a fair assessment of how their season will turn out. We didn’t really see anything going forward from them as they were contained within their own half, and conceding four goals is never a result to be brushed off. However, they have 19 other teams to face and judging them solely on this match was never going to turn out well for them. We have predicted another struggling season for Southampton, and Sunday’s efforts against Burnley did nothing to change our assessment. They were all over the place against a Clarets side who aren’t renowned for their attacking presence. Alex McCarthy kept them in the game, but they can’t rely on him having such an heroic performance every weekend. Defensively they were feckless, and their problems up front remain. They had 18 shots at Burnley’s goal but missed the target with 15 of them, further reiterating their need for a standout centre forward. It could be a long, long season at St. Mary’s. On first impressions it’s certainly looking like Brighton’s struggle could be real this season. They were abject going forward against Watford as they lost 2-0, and it seems like their efforts in front of goal will be their main issue this term. They failed to get a single shot on target at Vicarage Road and Watford were very rarely troubled by their attacking play. At the other end they were better, but the fact that they still conceded two doesn’t bode well for the Amex Stadium faithful. Read More: Alireza Jahanbaksh: What do AZ Alkmaar fans think of Brighton’s new signing? Huddersfield miraculously managed to avoid the expected relegation last season, but this season looks like it’s going to be just as tough for The Terriers. They actually showed a bit of promise going forward early on against Chelsea, but as soon as N’Golo Kante scored the opener Huddersfield wilted. They were overrun in midfield and they rarely ventured out of their own half after the break. They won’t have to face teams as good as Chelsea every weekend, but they clearly still have major issues up front. The newly introduced Welsh outfit are hot favourites for relegation this season, and that hasn’t changed a bit after their opener. They were completely outclassed by a Bournemouth side who are by no means world beaters, hitting the target just once and failing to find the intended target with 40% of their passes. Simply put, I would be hugely surprised if they manage to avoid the drop this season, and there are many tougher tests to come than a Saturday afternoon at the Vitality Stadium. Categories: Blog, Football, Premier League, and Premier League Review. Tags: power rankings, Premier League, premier league power rankings, and premier league rankings. League: England Premier League. Sports: Football.